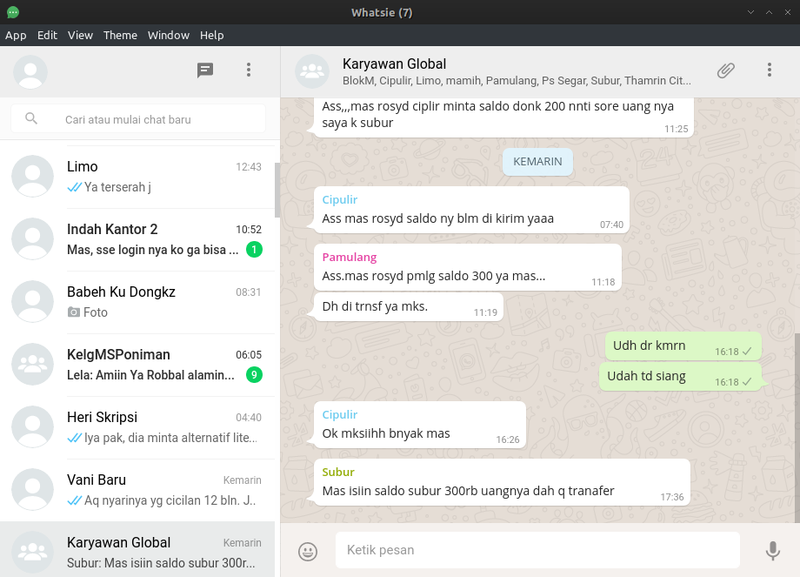 Whatsie is A simple & beautiful desktop client for WhatsApp Web. 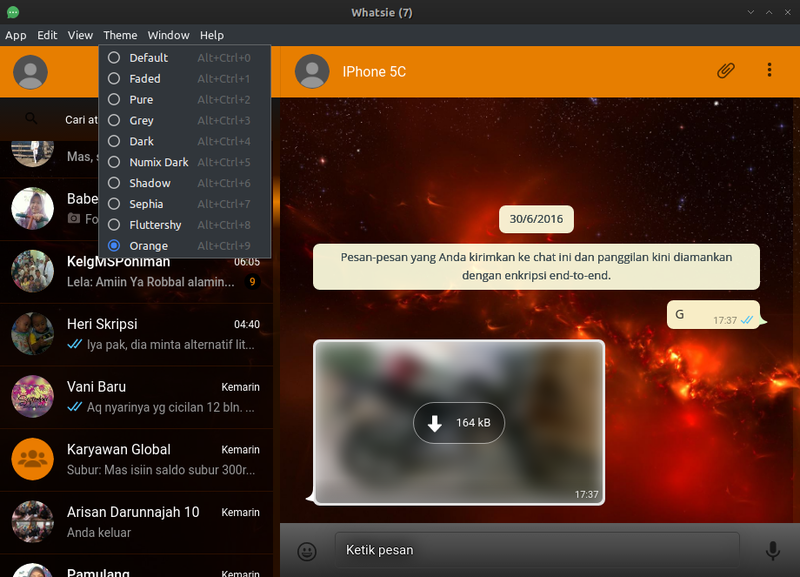 Chat without distractions on OS X, Windows and Linux. Whatsapp has a new features called "Whatsapp Web" with this feature, whatsapp user can chat with their contacts with browser. Whatsie use this features, and need whatsapp account that active on mobile devices. 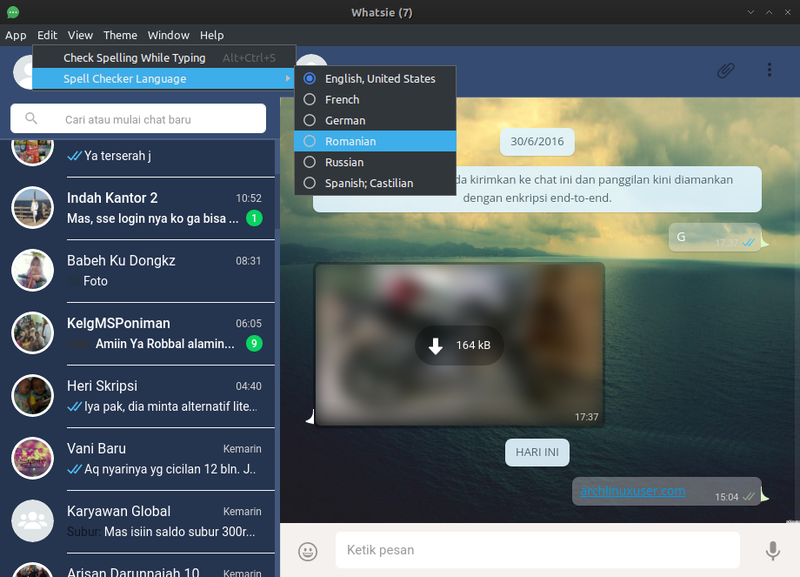 Whatsie have native desktop notifications features, whatsapp theme, keyboard shortcuts and spell checker. 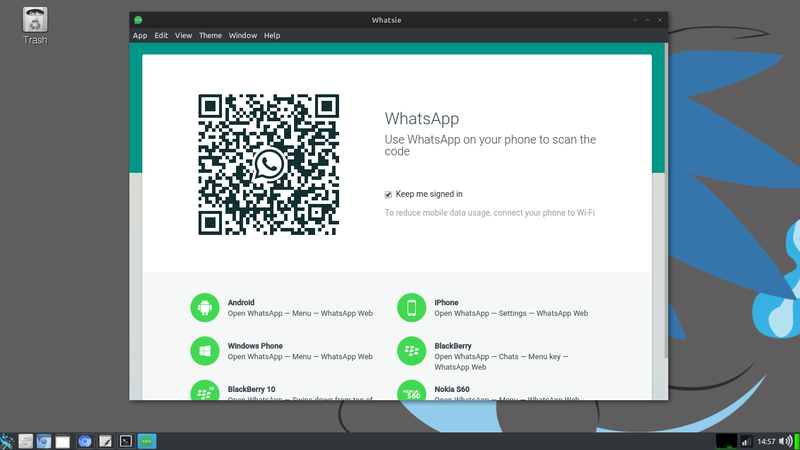 Now open your whatsapp application on your mobile devices, and scan the QR Code to start chat with whatsapp. Whatsie is ready to use, make sure your mobile phone have internet connected, if not, whatsie will not work. There are some theme that you can choose on whatsie like these below. Here's some language that support spell checker. By default it support english, french, german, romania, russian, and spanish.